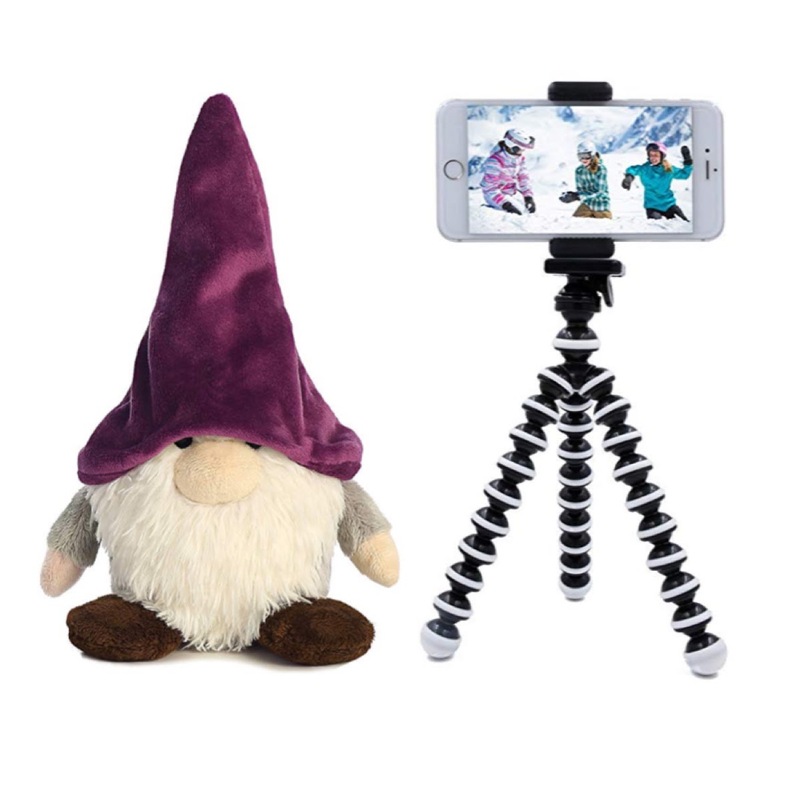 As you may have noticed, I have a bad case of FOMO (the Fear Of Missing Out). 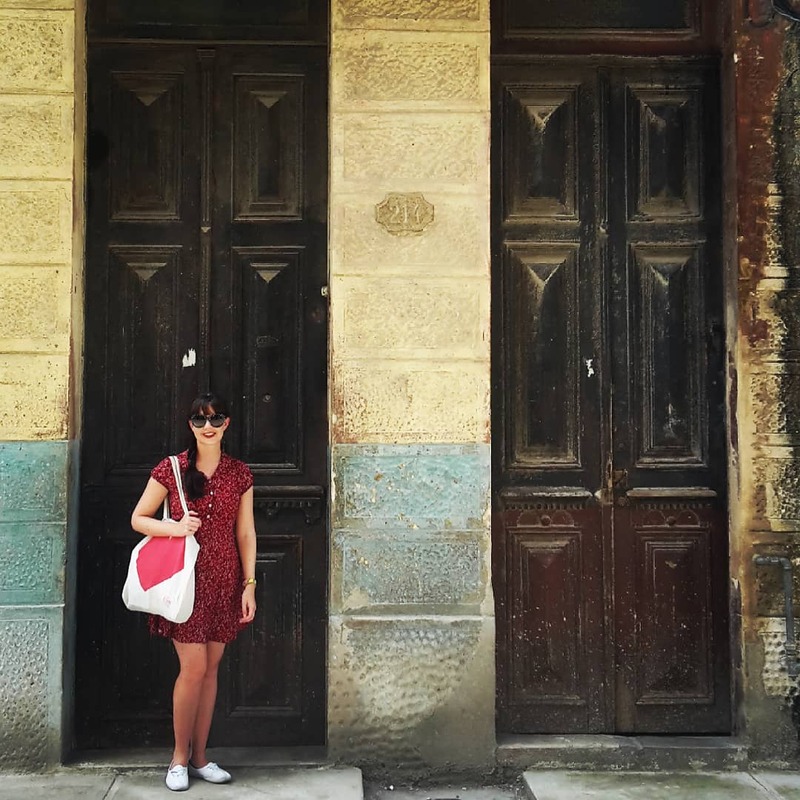 Also, if you have seen my Instagram account, you will know that I love Havana, Cuba. I have been visiting this city once a week for six months and I have taken just about every opportunity I’ve been given to explore different corners of this strange, amazing, contradictory place. I don’t know many people who have been fortunate enough to spend as much time there. That, however, hasn’t stopped some of them from writing really vague heavily googled somewhat inaccurate blogs about their “experiences” though. 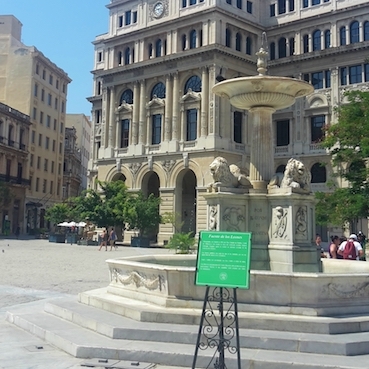 Guide books or websites also often seem vague, impersonal and even completely inaccurate on the subject of all things Havana. Cuba is currently in the process of opening up to tourism from the US (well, completely unofficially, of course) and with so many new visitors to the place, I have been asked a lot of questions lately. 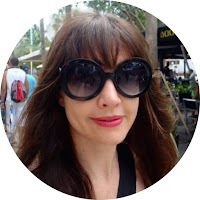 So, while I usually have to rely on my wit to get people to read my blogs, this time I actually have a lot of valuable information to share for the benefit of anyone planning or considering a trip to Havana. 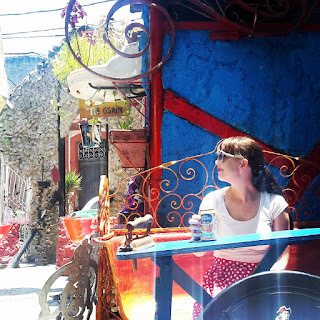 The hop on hop off bus with Habanabustour is probably the least expensive way to see the most. 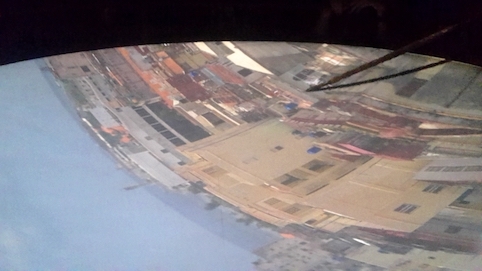 You can get an overview of the whole city and decide what you’d like to see in more detail. 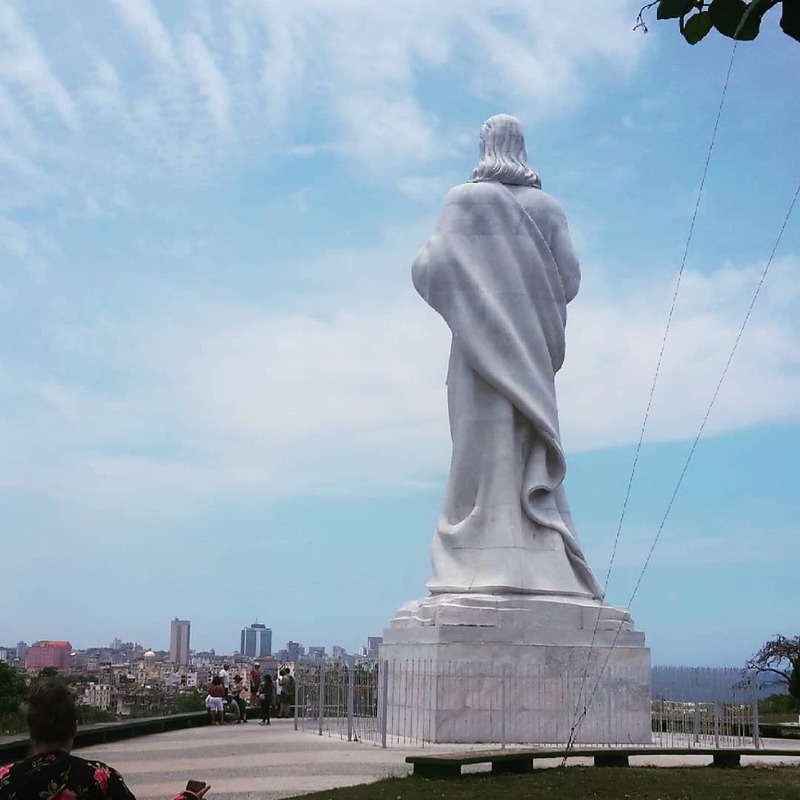 While the Old Town (Habana Vieja) is walkable, the bus takes you through the old town, then the new part of town, to the Plaza De La Revolución, the Cementerio De Colón (see below) all the way to Miramar and beyond, and then back. You can catch it right outside the cruise ship terminal or at Parque Central which is opposite El Capitolio (which you can see from pretty much anywhere in the city). 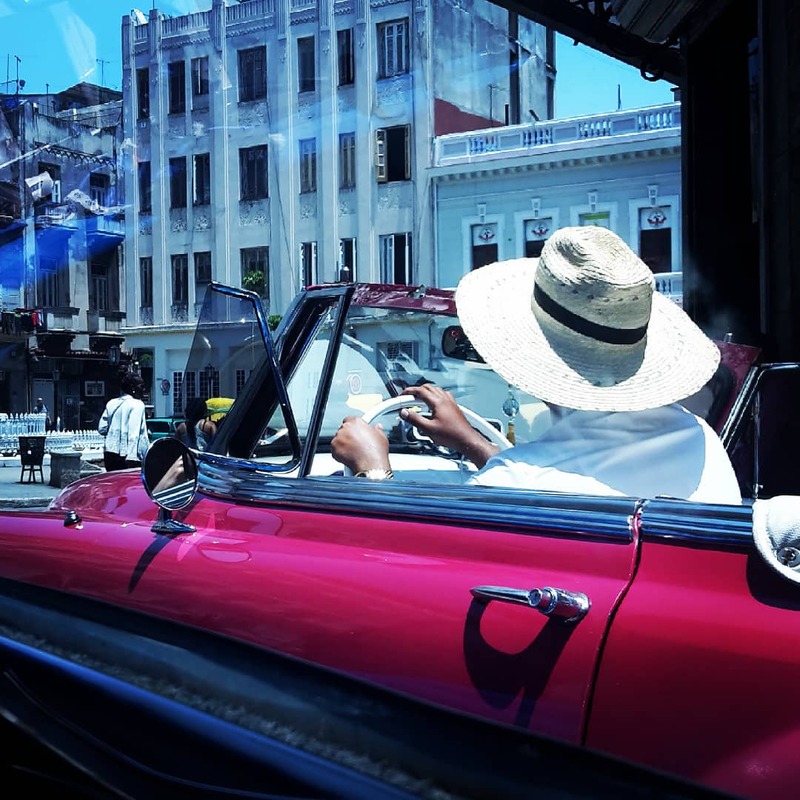 Going for a ride in a vintage convertible seems to be the thing to do in Havana. While it is more expensive than the bus, it’s a nice way to get a more personal experience. While a lot of restaurants and souvenir shops haven’t yet adopted inflated tourist prices, the taxi drivers have, but it’s still quite reasonable by international standards. A lot of taxi drivers will offer you one or two hour tours of the main tourist hotspots for about 10 CUCs per person per hour. The rate is the same if you want them to take you anywhere beyond the Old Town (i.e. the beach). Also, most of the vintage cars are privately owned as opposed to government-owned, so they are open to negotiation. Wait, what the eff is a CUC? Before I continue, I should explain that there are two currencies in Cuba, the Cuban Peso and the Cuban Convertible Peso / CUC (pronounced - probably incorrectly - as “kooks”. Yes, like the British rock band, but without the ‘the’). The locals use the Cuban Peso, the Cuban Convertible Peso is for foreigners. It’s valued to be worth the same as the US dollar, but when you convert foreign currency into CUCs there is obviously a conversion cost and if you’re converting US dollars there is an additional tax. I have been told that if you bring Euros or Canadian Dollars you get a much better rate. 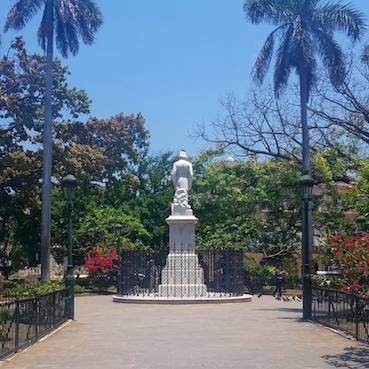 It’s a big square with a monument that pays homage to Jose Marti (a writer and revolutionary). 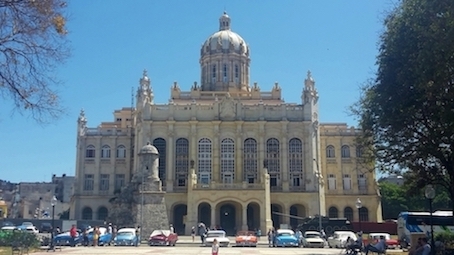 A number of political rallies happened here over the years and Fidel Castro made a number of public addresses here, as well as two Popes when they visited. 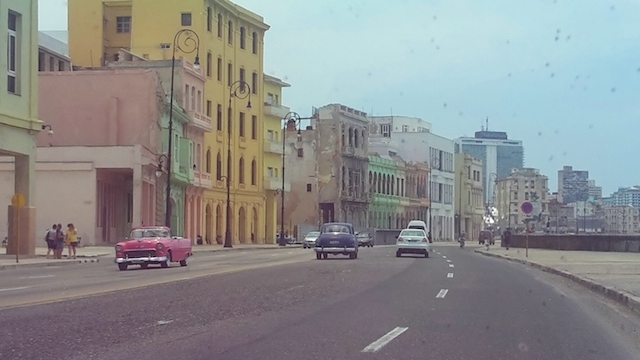 It’s too far out of the Old Town (Habana Vieja) to be able to reach it on foot. 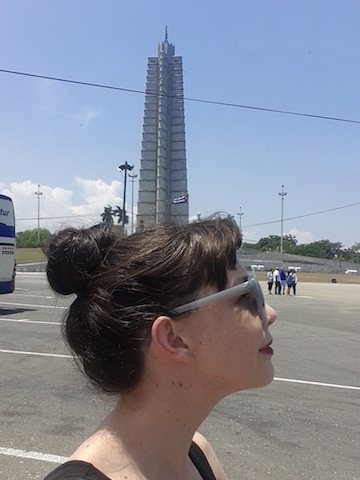 Behind it is the Palace of the Revolution: the seat of the Cuban government and the communist party. The Malecón is the road that runs along the water’s edge. 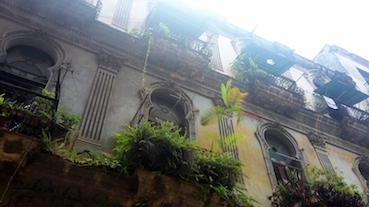 Lined with old weather-beaten buildings and memorials, it is iconically very “Havana” and a bit too long to be walked …especially if you’re coming from the Old Town …and especially if it is hot. (It is always hot.) Next time you watch The Fate of the Furious you want to be able to say "I've been there!" Visible from the Old Town, this marble statue is on the other side of the river from the Havana harbour. It is twenty metres high and made of 67 blocks of marble imported from Italy. I read somewhere that it was inaugurated just 15 days before the revolution began. The only way to get there is through a tunnel that goes under the water. Just driving through the tunnel with the vintage cars, the lights and the hooting (I don't know why they hoot but they do), is an experience in itself. There is also another fort on the other side of the river, and some great views of the city. The taxi drivers will also let you take one of these pics. 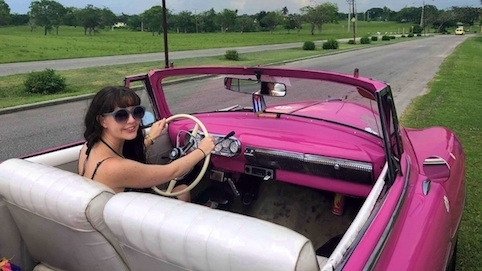 Pretending to drive a vintage car is to Havana what recreating the Titanic pose is to taking a cruise. You can’t not. You just can’t not. The Taxis are everywhere in Havana. As long as you are on a main road you should have no problem catching one, so much so that you can be picky about the colour you want. There are also always a large number of them parked near Parque Central by El Capitolio. I have been to only one beach in Havana and this was it. 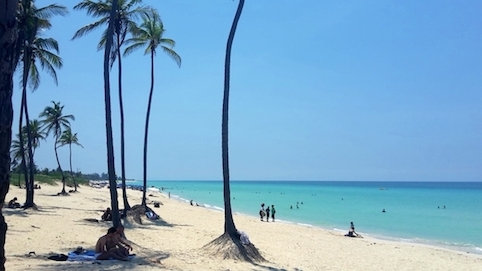 Cuba is in the Caribbean and so the beaches are beautiful. Near Havana itself the ocean is very polluted and, apart from debris floating around, you can also see an oil sheen on the surface of the water. You have to drive about 30 minutes out of the town to get to a nice beach and even then you can expect to find a lot more litter than you would in other parts of the world. 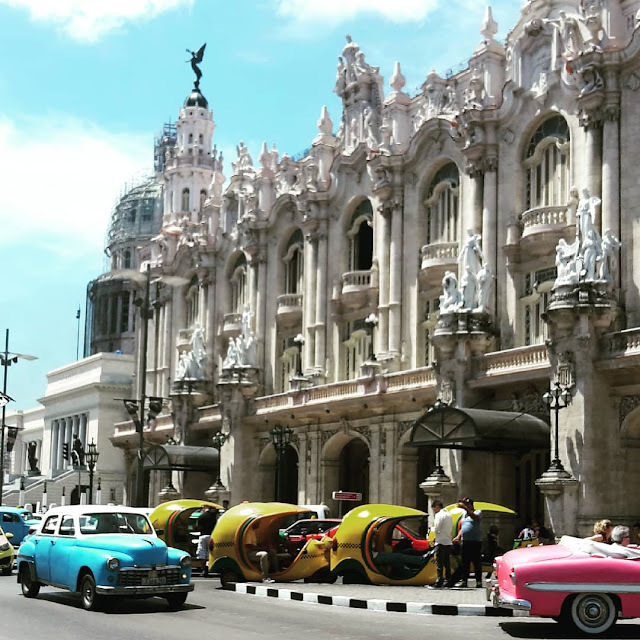 In all honesty, as much as everyone enjoys a nice beach day, if you just wanted a beach vacation you would probably choose a different destination to Cuba. This place is like nowhere else I have ever been and so if I had limited time in Havana I would spend it exploring the city itself. If you have more time though, go for it. It looks like America’s Capitol building but is a little bigger. (“Take that, America!”) It is, however, apparently not based on the one in Washington DC that looks just like it, but rather “the Pantheon” in Paris. (Google it, you decide.) Just after WW1 people were dealing with a lot of emotions and decided to eat their feelings. The sugar boom had a lot to do with the funding for its construction. 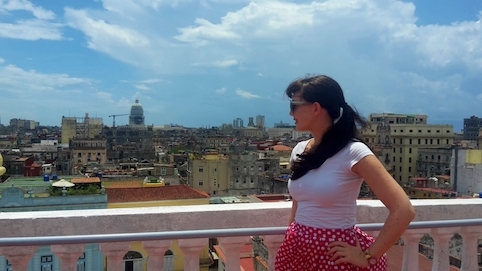 Things were so good in Cuba that it was built in just 3 years, 2 months and 20 days by 5000 people. 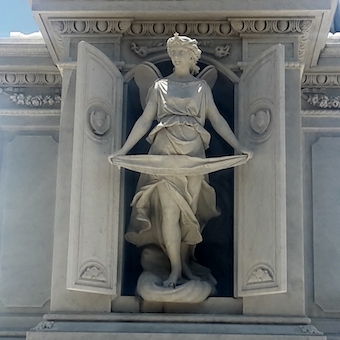 There are 55 steps leading up to the main entrance with two really big statues on either side. (The tour actually takes you through the back entrance). 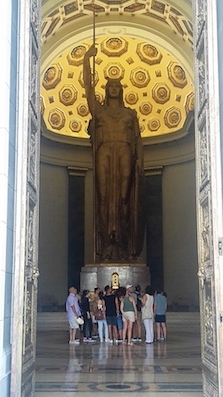 Just inside is a really unassuming (sarcasm) 15-metre tall bronze statue: La Estatua de la Republica (The Statue of the Republic). It is not only the third largest statue undercover to this day, but it’s also covered in 22-carat gold leaf. As one does. On either side of the statue runs the Salón de Pasos Perdidos (The Hall of the Lost Steps). 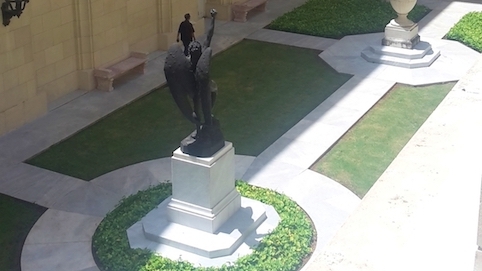 If the fact that it’s in the centre of a pentagram isn’t a little creepy to you, the courtyard outside features a statue of El Angel Rebelde (The Rebellious Angel), a.k.a Satan. Again, as one does. El Angel Rebelde ...and some guy who works there. 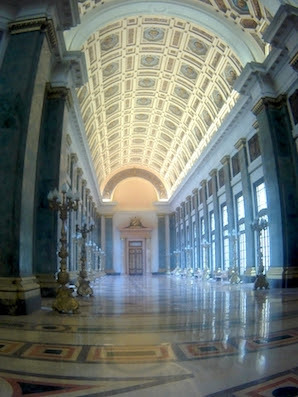 The tour also includes a room that honours the unknown Cuban soldier and the actual tiered parliament room from before the revolution. I think I remember the tour guide saying that the communist government won’t use it because they feel everyone should be seated on the same level. The building is currently undergoing restorations (mostly outside) but the tour was well worth it. The ticket office is just to the left of the stairs leading up to the building. There are two different windows, one for locals and one for foreigners. 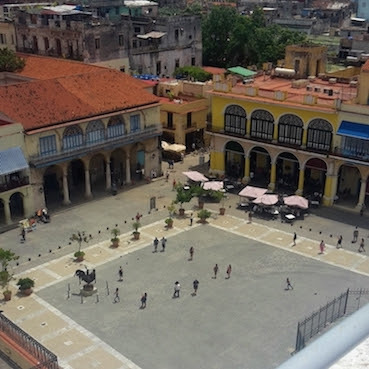 From what I understand, the Teatro Tacan was the original structure created by Galacion immigrants in the early 1900s. The really opulent theatre building around it was built much later. I’m not entirely sure when though. I’m also not sure if it’s old or built to look old, but the inside is as opulent as the outside. Touring it feels very surreal like you’re stepping into a movie. Lots of famous people have performed there like Sarah Bernhardt, Jenny Lind and Anna Pavlova. Also, Barak Obama gave a speech there more recently. Tours are just 5 CUCs and tickets can be bought directly from the box office. Inaugurated in 1920, this building used to be the presidential palace before the revolution. 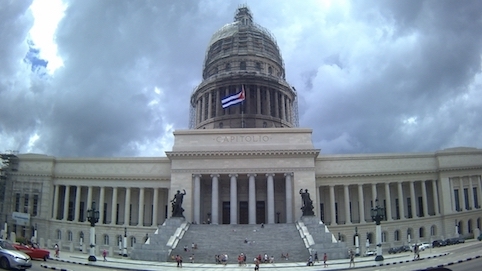 Basically, Cuba’s White House. 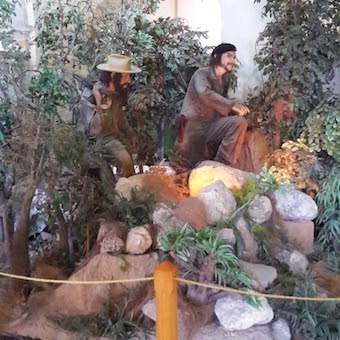 Now it is a museum filled with some really interesting pieces, some strange things (Che Guevara’s doll), a lot of information about America’s involvement that I never heard before and a fair amount of propaganda. 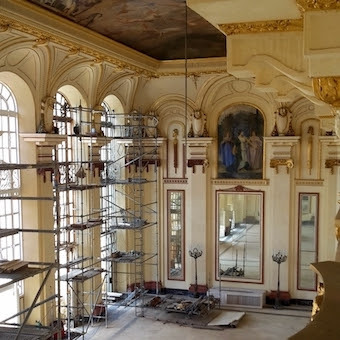 It also includes a replica of Versailles’ Hall of Mirrors. 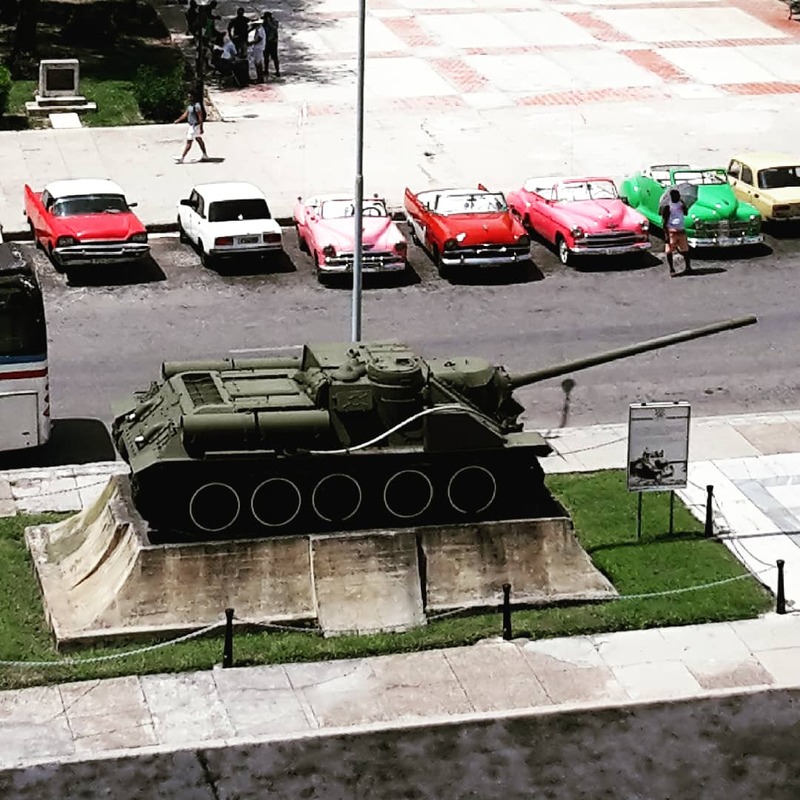 Out the front is a tank that Fidel Castro used in the Bay of Pigs Invasion. This excursion, while fun, is a little bit awkies. It’s worth a visit if you have time, but if you’re torn between this and another one on the list, go with the other one. Tickets are available at the entrance. They include access to the back yard that includes the glass structure that encases the Granma. Cameras are allowed, bags are not but can be left with security. This cemetery dating back to the 1800s is a little bit out of the city and, at 140 acres, it is almost a city on its own. 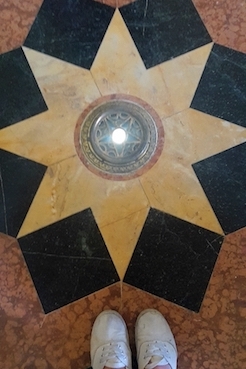 It is a large square area filled with crypts, vaults, gravestones, memorials, about 500 mausoleums and more Italian marble in one place than you might see in a lifetime. Some of these memorials are ostentatious and well maintained, some are more humble, and some started off ornate and have been left to ruin. This cemetery holds more than a million interments, and space is in such demand that after three years remains are removed from their graves and put in an underground ossuary (a room in which they keep the bones of dead people). When I visited I was distracted by a different kind of monument and so I didn’t get to explore it in as much detail as I would have liked. It’s definitely worth a visit though, just don’t go alone. Tickets are available from the security guard who will accost you as soon as you enter the giant gate. 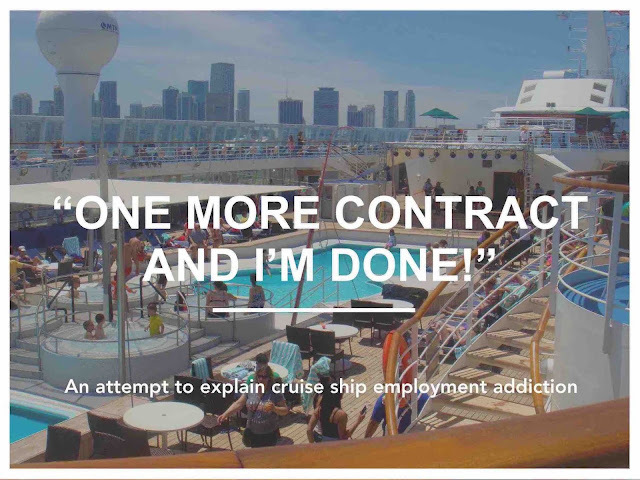 Read more about my experience here. I love churches and everywhere I go I always have to find the cathedral. 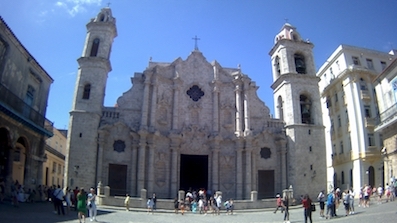 This church is also known as ‘La Catedral de la Virgen María de la Concepción Inmaculada de la Habana’. (Now say that three times fast!) It is Roman Catholic and apparently once held the remains of Christopher Columbus (Or “Cristobal Colón” - I’m not sure why his name is different in different languages?) in the late 1700s / early 1800s. Being a functioning place of worship, access is free. You can climb the smaller clock tower for 1 CUC. This is a small road just beyond the old town. Salvador Gonzáles Escalona is the artist responsible. Since the 1990s he has been filling his street with murals and art created from repurposed objects. 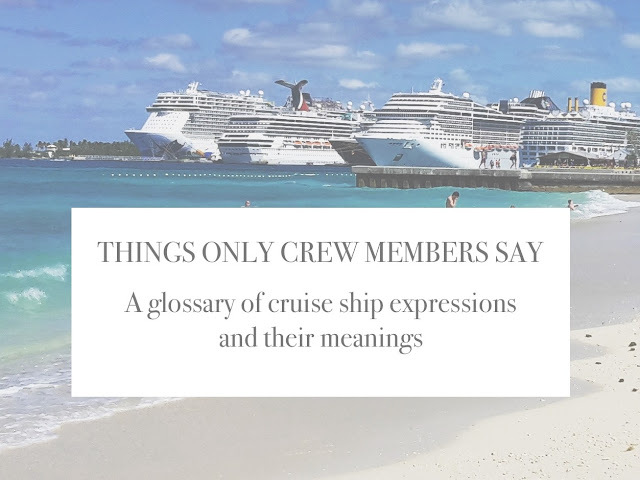 Be aware that self-appointed tour guides will bombard you with more information that you want in exchange for tips or “school fees” for their kids, other than that access to the area is free. 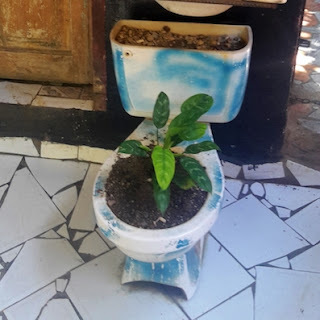 Bathtubs have been turned into chairs, ironing boards into tables, toilets have become pots with flowers growing out of them. Quite a few pianos had been repurposed into “art” (which made me sad because the only thing I think pianos should be repurposed for is other pianos). On the whole, though, it’s a really quirky, fun experience. This road is a little bit beyond the Old Town and will take you a 7 CUC taxi ride from Parque Central to get there. It is apparently walking distance to Hotel Nacional if you want to combine the two. 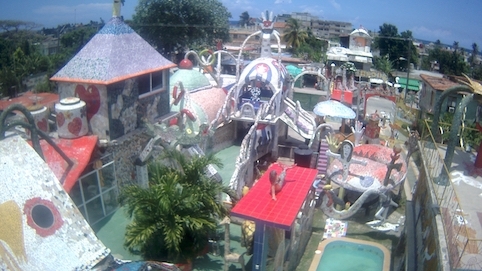 According to one website (that was wrong about a lot of things), José Fuster started covering his home and studio with mosaics in the mid-1970s. From there it spread out into the neighbourhood and blossomed into a tourist attraction, creating a lot of business. 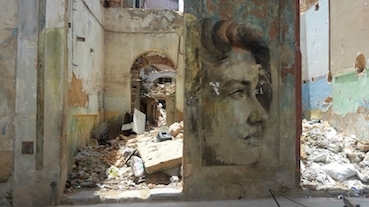 The entire neighbourhood looks like it’s been covered by murals that have shattered. The artist’s home is the centrepiece. It looks like he’s run out of surface area for mosaics on a number of occasions and has had to resort to sculpture so that he can cover more things with tiles. 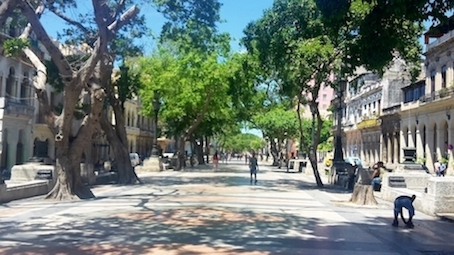 This area is about thirty minutes away from the downtown area of Havana. While access is free, a trip there will most likely cost you 10 CUC per person in each direction. 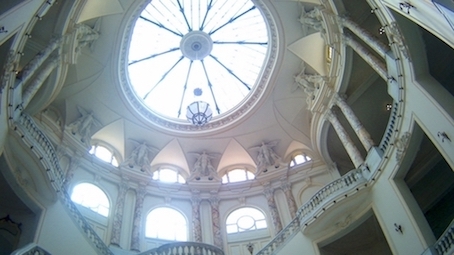 This attraction can be found in a tall building in Plaza Vieja. You go into a dark room at the top of the building where they use a contraption (I believe it was invented by Leonardo Da Vinci) to project images from the city onto a large drum in the centre of the room. 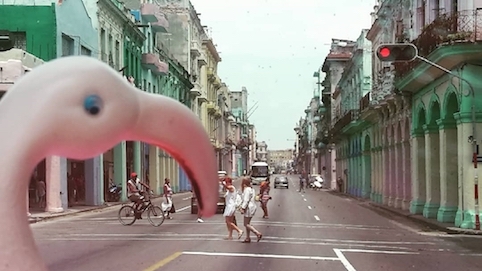 From there they can rotate 360 degrees and zoom or focus in on different sights around Havana. The explanation of what we were seeing was conducted in both Spanish and English and was quite a fascinating experience for only 2 CUCs. After the tour, you are able to go out onto the balcony outside and enjoy the view of Havana as well as the live salsa music coming from the streets below. 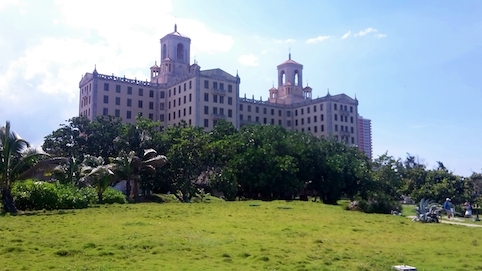 Hotel Nacional is a famous hotel in Havana, built in the 1930s. 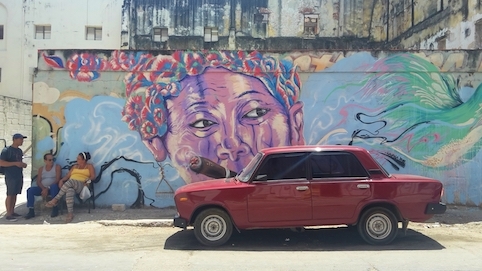 Like everything in Havana, it’s filled with quirks and contradictions. It was the location of a violent military siege in 1933 known as “the Battle of the Hotel Nacional of Cuba", it was also the location of the largest ever gathering of the North American Mafia in the 1940s. (Inspiration for the Godfather 2. I still need to watch that.) And in the 1950s Walt Disney stayed there! Obviously. The likes of Rita Hayworth, Fred Astaire and Frank Sinatra have also been guests of the hotel, and I can see why. I didn’t go to a single one. I wouldn’t say if you’ve seen one fort, you’ve seen them all, rather if you’ve seen about four different looking forts, I reckon you have seen them all. They do have similarities. So how do you choose which one? My years of travelling have taught me that apart from being a bit ‘samey’, forts have prisons and prisons are for making out. Despite many marriage proposals, being single meant I didn’t quite have the incentive to go inside any of them. Murealeando is like Fusterlandia but instead of mosaics, it has murals. I guess it’s Havana’s Wynwood. 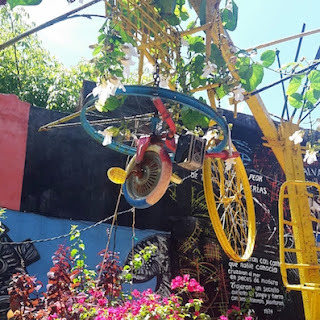 The day I went to Fusterlandia with my friends, we told the taxi driver we wanted to go to Muraleando or Fusterlandia, he knew where Fusterlandia was so that was the deciding factor. 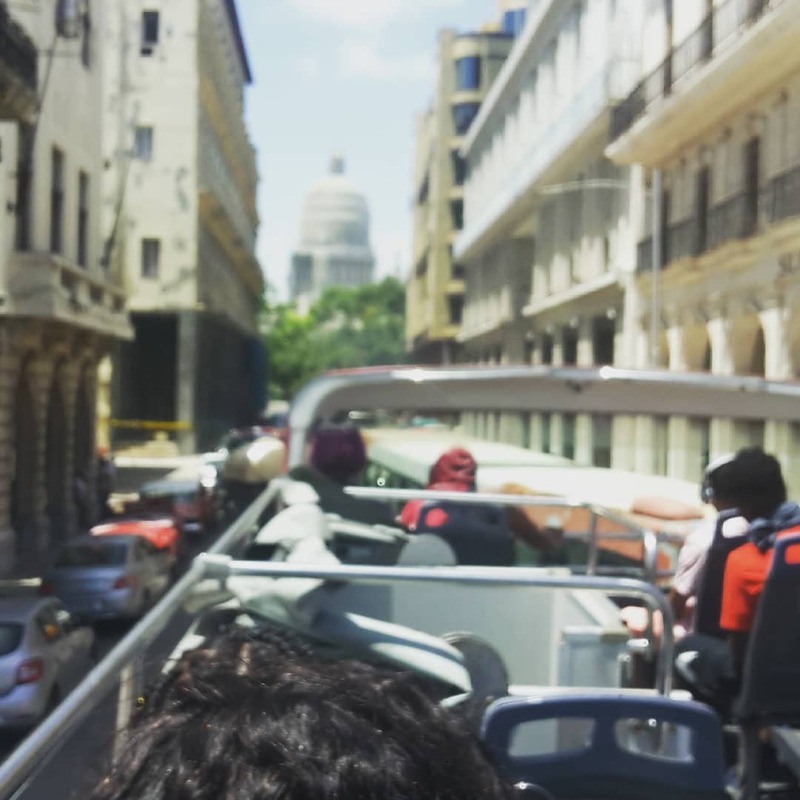 Whatever you do, Havana is incredible and I can't recommend a visit to this city enough. What about Tropicana? Did you ever go there? Is it worth it? Tropicana is amazing! 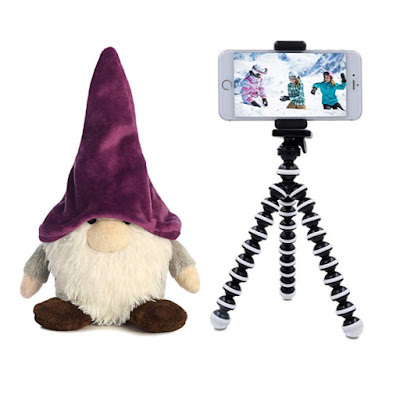 It's pricey (compared to your other options) but it's definitely worth it. 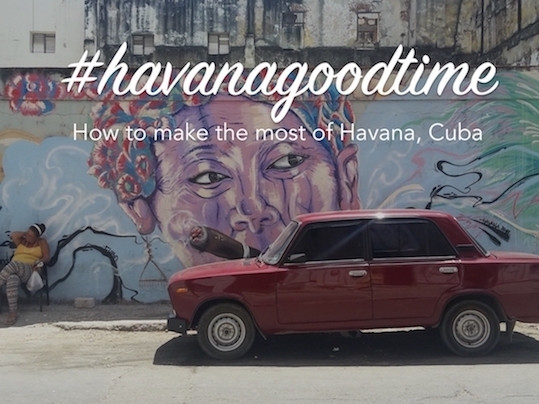 I intend to post a blog soon about what you can do in Havana at night.